Apple unveiled the all-new 2018 MacBook Air during an event on Tuesday. The new MacBook Air (2018) features a 13.3-inch Retina display, Touch ID and upgraded processors. It’s available in gold, silver and space gray. Other highlights of the MacBook Air (2018) include a third-generation keyboard designed by Apple, which features backlit keys. The Force Touch trackpad is 20% bigger than the trackpad on the previous model and supports haptic feedback and pressure-sensitive capabilities. 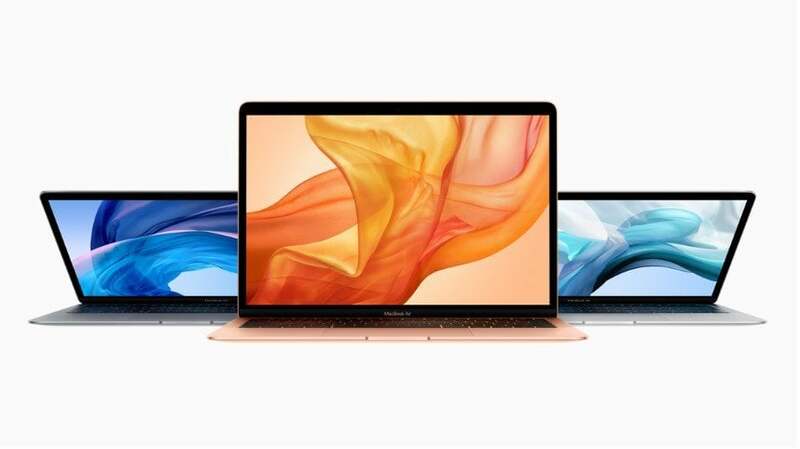 The 2018 MacBook Air is the first model to have a Retina display, and Apple claims it displays 48% more color than its predecessor. The laptop also has a FaceTime HD camera built in and a trio of microphones to improve sound quality on calls and voice recognition on Siri. Apple also brought its Touch ID fingerprint sensor to the 2018 MacBook Air. It’s built into the Apple-designed keyboard. Touch ID can be used to unlock the laptop, authentication, and make purchases through Apple Pay. Apple describes the MacBook Air (2018) as “the most affordable Retina-display Mac ever,” although that Retina display adds $200 to the laptop’s price. The MacBook Air (2018) will start at $1,199 and be available starting on Nov. 7, although it’s up for preorder now on Apple’s online store. The MacBook Pro with the new graphics option is also available for preorder now, but it won’t land in retail stores until Nov. 14.